Commuting relatively short distances and getting round town. The main attraction of a hybrid bike is that they offer good comfort and all round performance for a low price. They tend to have thinner wheels than mountain bikes, meaning that they are quicker on roads – where hybrid bikes are mainly used. Hybrid bikes usually come with up to 27 gears offering a wide range of choice. In practise most people wouldn’t use such a wide range of gears, you would probably be fine with less. However, hybrid bikes try to offer the best compromise between fast road bikes and the greater comfort and stability of a MTB. The best hybrid bike depends on your specific purpose. 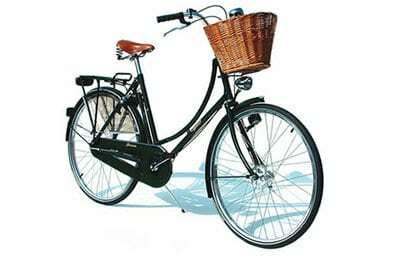 Enjoyable Ride – Consider Dawes Diploma or Pashley Sovereign. Slow and heavy but great fun and stately to ride. Bit more expensive but more class and distinction. Best value all Round – hard to beat the big brand names like Trek FX hybrids. The GT Transeo is geared more towards the Mountain bike spectrum of hybrid bikes. If you fancy going off-road or over bumpy roads, these will help give a much more comfortable ride. On smooth roads, it is slower. It comes with chunky 700*40c tyres and tough reinforced aluminium frame. All models have 27 gears and the ability to switch suspension mech on and off. There are many different varieties of GT Transeo. At the top of the range a GT Transeo 1.0 costs £800 and comes with disc brakes. For half the price, you can get a GT Transeo 4.0 for £400 which comes with V Brakes and Shimano Acera. This is a great hybrid if you are looking for greater flexibility in going off road. This is not the cheapest hybrid, also it is not the fastest hybrid. However, it is a wonderful bike. I would recommend for those looking for the real bike experience. It is a little on the heavy side, and you won’t be racing away from the traffic lights. But, it will last for years and it looks like a work of art. The specialised Sirius offers a range of hybrid bikes from £400 to £1,500. 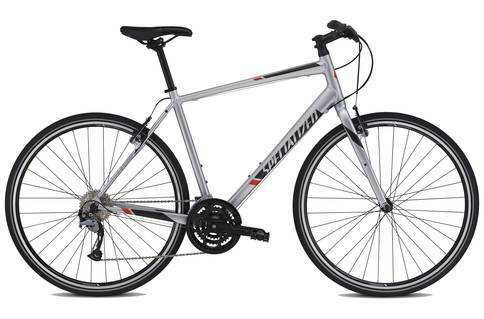 The Specialized Sirus Hybrid is the basic model (£400 for aluminium frame and Shimano Altus 24 geras) The ride is good. I like the straight steel forks which give a more comfortable ride over bumpy/pothole roads. At 12Kg, it’s not the lightest machine on the road, but at this price you can’t expect everything. There are some good features such as the Specialised all condition tyres (excellent for commuting and puncture protection) The triple chainring on the front gives a wide range of 21 gears. This is a bike that will be able to do most things from simple commute to steady weekend ride. The straight handlebars give a comfortable ride. If you were wanting to race away, you might miss the drop handlebars but it is still reasonably fast for a commuting bike. It is not the most exciting looking bike. Basically black with upwardly sloping top tube. But, it’s also not so flash you have to worry about spending £100 on locks when you leave it in town. Trek offer quite a wide range of hybrid bikes with a close range of models. If you want a cheaper type of hybrid bike. The Trek 7.1 2016 retails at just over £380. It includes the combination of FX Alpha white Aluminium frame and a straight steel fork. This is an excellent all rounder offering good value for money and gives everything most commuters would be looking for in a relatively short commute or a bit of leisure riding. Comes with upright riding position and 700cc wheels, so is quite speedy for a hybrid bike. Comes in a stylish metallic black finish. However, it does end up looking like the Specialised Sirius and many other Hybrid bikes on the market. For every version, there is a also a women’s version of bikes. The economies of scale Trek have enable them to offer one of most comprehensive range of hybrid bikes, and this makes it attractive. Remember it is much cheaper to get the best components on a bike when buying rather than upgrading at a later stage. 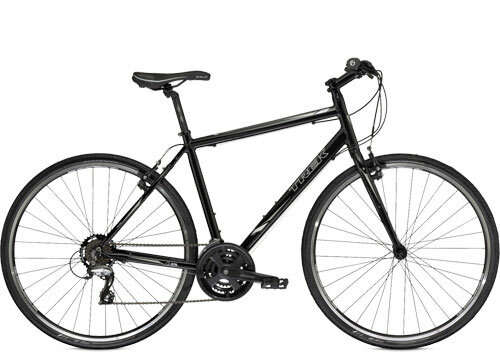 Full Review of Trek 7.1 FX Hybrid Bike (£375 for 2015 model) – Good all rounder, especially if just for road use. 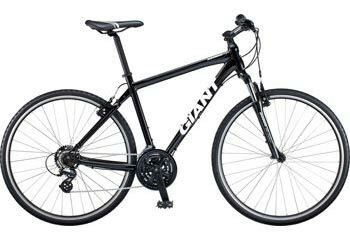 The Giant Roam 4 is a classic good value hybrid bike. Giant have a very good reputation and have produced a hybrid bike at £349. This feels like a ‘middle of the road’ hybrid bike. With 40mm tyres it is very stable and comfortable to ride. It’s not the quickest hybrid bike, but it gives a real feeling of solidity. £349 is a good price for a hybrid bike. With lower end Shimano gears, it’s fine for offering any gear choice you may need. Will last longer than some cheap hybrids. 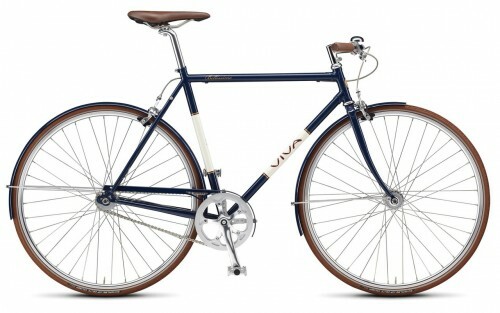 The Dawes Diploma is a hybrid bike more towards the classic ‘retro’ style. This is a beautiful and stylish bike to ride around town. It is a built for a comfortable relaxed ride. The higher handlebars make it easy to handle. It feels considerably heavier than a lighter hybrid bike. It weighs at over 17kg. However, it comes with more extras such as mudguard and chain guard. The Viva Bellissimo 7 is more geared towards the chic end of the hybrid market. It comes with a 7 speed hub gear (or you can choose single speed – if you prefer) This is a little heavier than standard dérailleur and sprockets. 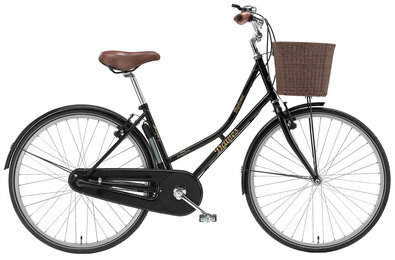 However, it looks really classy and the classic steel frame is great fun to ride. It is a Danish company carving out a niche market in classic, retro style commuting bikes. The main downside is that it is more expensive (from £600), and not widely available in the UK. 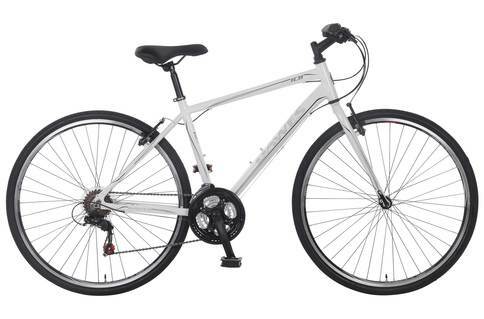 The Dawes Discovery 101 is an entry level hybrid bike, suitable for some off-road paths. It is based on 6061 alloy frame with steel fork. It has 18 gears, giving a wide range of speeds. It comes in both mens and womens version (step through frame). It also has a trail version with wider 38 tyres, though the 101’s 35′ tyres will be sufficient for most tracks. At £269, you can’t expect too much, and it does weigh 12.5 kg, but it is a solid starting point for cyclists looking for good value entry level hybird. The Giant Escape N7 is around £330. The Giant is a solid Aluminium frame, with 7 gears mounted on the handlebars. It’s tyres are chosen for the road, but handlebars are straight like a mountain bike. Available from Rutland cycles. For under £200, you will struggle to get much choice. Your best bet may be to look at the second hand market. Also, if you visit a discount cycle shop like Cycle King, you will find a couple of Ammaco bikes for under £150. They are reasonable, but as you can imagine the components are cheap. You are more likely to puncture and spend more time on maintenance, especially the brakes. They are big sellers, and I see many around Oxford. But, you get what you pay for. But, within Hybrid Bikes there are quite a few ranges. You will want to choose which is more important looks v comfort v speed. For example, the most utilitarian hybrid bike would be the Specialised Sirius or Trek FX series – these are closer to standard road bikes. A Dawes Diploma, Viva Bellissimo and Pashley offer a more stylish and elegant bike that is slower to cycle. Also your local bike shop will have its own selection of hybrid bikes, it is worth visiting and testing out the bikes in person. You will save a little buying on internet, and the bikes arrive very quickly from Evans. However, buying locally gives advantage of personal contact and a reference point to return bike for quick check-up. Recently, I bought a good brand using my Christmas gift certificate on Amazon. My only advice to people seeking a good hybrid bike is to have it professionally assembled with the right tools to increase performance metrics. Why isn’t there no diamondback bicycles? I absolutely love diamondback, probably my favorite brand, they produce really high quality bikes, I think at least 1 should be in this list. Great detailed post. Thank you – very good tips! You have simplified the choice of bike for this season. Good content! I’m glad you explained the many uses one can get out of a hybrid bicycle. A lot of newcomers assume bikes are too expensive, this proves that wrong! I need a hybrid bike. But I really confused to choose my bike. Can you clear me which brand is affordable and comfortable for me?